Island of Silba is situated in the Zadar archipelago, south-east of Island Mali Losinj, between the neighboring islands of Olib in the East and Premuda in the West. It belongs to the group of smaller-size inhabited Croatian islands. Its surface is about 15 sq/km and the length is 8.5 km. The highest point of the island is Varh (80m). 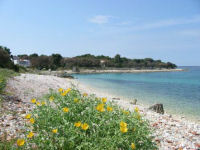 The settelment is situated in the narrowest part of the island (0.7km). The closest city on the mainland is Zadar (about 30 nautical miles away). Boats and ferrys from Zadar sail every day and the trip lasts form 1,5 hour (catamaran) to 4,5 hours (ferry). Another option is to reach Silba from Pula or Island of Mali Losinj. 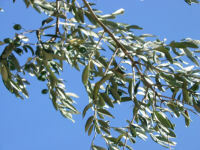 Island of Silba if full of Mediterranean vegetation and aromatic herbs. 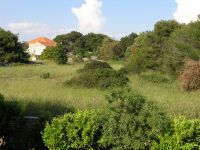 You can enjoy in pleasant vacation in the untouched nature (Silba has been nominated for Nature park status). All accommodations are only few minutes away from beautiful sandy or gravelled beaches. It is also important to say that On the island you can find grocery stores, small vegetables and fruit market, the post-office, the exchange office, the local doctor’s office, church, sculpture gallery, pastry shops, coffee bars and restaurants. As you can see, there are no roads for cars or motorcycles on Silba, so peace and quiet help you to relax and enjoy every second of your vacation. That is one of the reasons why Silba attracts tourists. The other reason is Adriatic sea because of its incredible clearness and warmness during the summer. You can't find any hotels in Silba so tourists usually stay at apartments and private houses. So if you decide to spend your vacation at this beautiful island, we guarantee that you will have great time and that you will come back again next year.